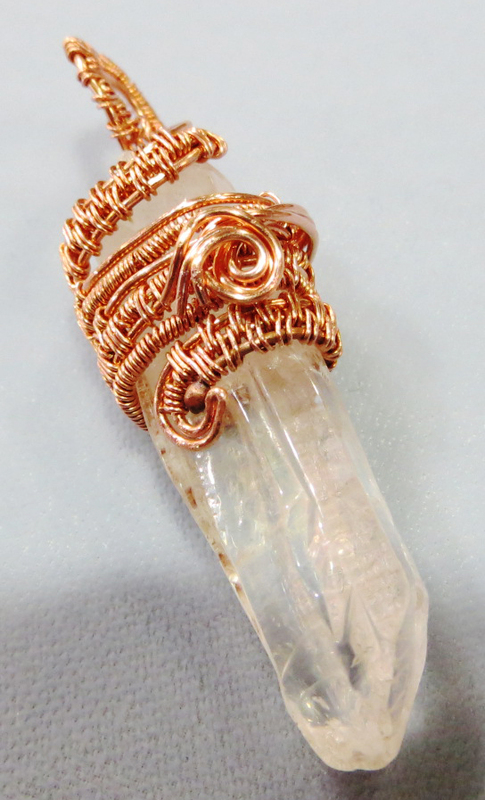 Click the button below to add the WIRE WOVEN PENDANT CAP (class and kit) to your wish list. Registration Fee includes the class fee plus the kit fee. Wire weaving is a set of techniques, similar to basket weaving, where you wrap thin weave wires around thicker base wires to create patterns and textures. You can then use these wire-woven strips to make all kinds of things, such as the framework to turn a cabochon or bead into a pendant, earring dangles, bracelets, bails, and the like.